As Britain’s longest heatwave in five years continues, Hamilton Fraser, who provide specialist insurance services to the private rented sector, have issued a warning to landlords to ensure they have sufficient buildings insurance, as the shortage of rain puts properties at increased risk of subsidence. In extreme cases, such damage can result in houses being uninhabitable while repairs are being carried out. Subsidence is the downward movement of the ground supporting the building. Typically, claims for subsidence increase over the warmer months as the lack of rain causes shrinkage of clay soils which expand and contract with changes in their moisture content. In 2017, 65% of subsidence claims to Hamilton Fraser were reported between May and October, despite having a wetter than average summer¹. With June 2018 ranked within the top five driest on record in England and Wales (figures dating back to 1910²) and the hot weather looking set to continue into much of July and August, Hamilton Fraser is predicting a surge of claims over the next few months. Modern properties are at less risk as they are normally built on deeper foundations, but Victorian and Edwardian homes, built on shallower foundations, are at greater risk. Trees near properties are often the cause of the worst problems as their roots absorb vast quantities of moisture, exasperating the shrinkage brought on by the dry weather. 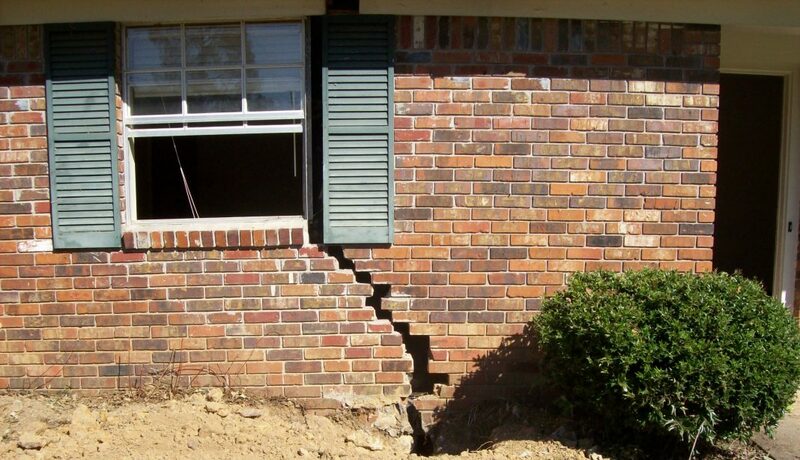 Subsidence damage to buildings is most commonly identified by cracks in walls which are; visible from both inside and outside the property, tapered and extending below the damp proof course.